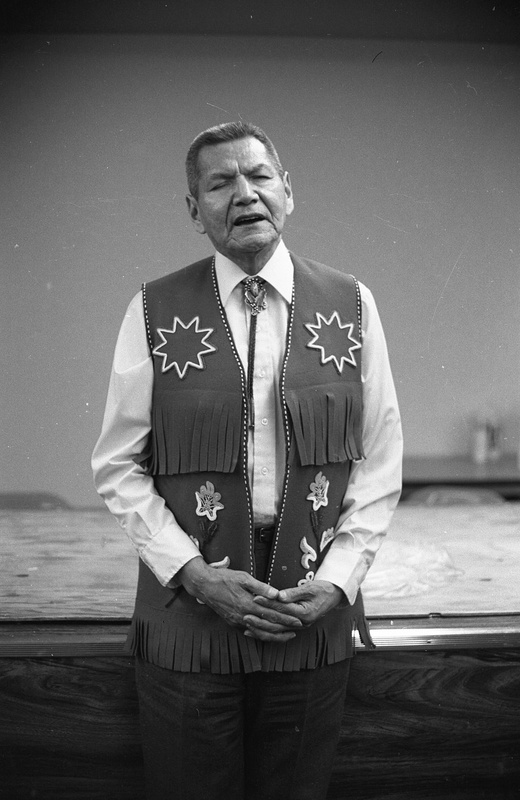 James Wilbur Walton (Tlingit name Khaalaaxh) leader of the Kaagwaataan Wolf House, Eagle/Wolf Moiety. Declared as a Baha'i in 1953 he was 30 years old. The following is his obituary from the Juneau Empire - November 26, 2003. World War II veteran and Tlingit tribal elder James Wilbur Walton was remembered Tuesday for the dignity he showed as a citizen of the world. About 100 people attended the Centennial Hall service that began with an Alaska Native Veterans honor guard folding the American flag that had covered his casket and presenting it to his family. Walton, also known by his Tlingit name Khaalaaxh, died Nov. 18 in Juneau at the age of 80 as a leader of the Kaagwaataan Wolf House, Eagle/Wolf Moiety, of Sitka. Grandchildren followed with Baha'i readings, honoring the man internationally recognized as a leader in the Baha'i Faith. Joyce Shales, his daughter, said Monday that she was receiving e-mail condolences from as far away as Russia and Israel before she had a chance to tell her sister that their father was gone. "My dad always said an Indian can always put an arm round one more person - the more diverse the better," she said. Before delivering the eulogy, niece Loretta King recalled Walton's "dedicated focus and zeal to help humanity," particularly in teaching children the importance of leading alcohol-free lives. "Undoubtedly, the Baha'i Faith saved his life and gave him a path to walk," she said. Walton came to the faith in 1953, when he was 30, at the lowest point in his life, said King, who spent 15 years at the Baha'i World Center in Haifa, Israel. Walton's programs, particularly the International Cross-Cultural Alcohol Program, to help people in the Russian Far East live alcohol-free lives served as a model for Baha'i programs as far away as Africa and Australia. "He inspired thousands of people to make a difference in the world," said friend Susan Christianson, now the deputy communications director in the governor's office, before the service. She recalled the effect he had on the people of Cherskiy, a community in northeastern Russia that may be as far north as people live in the world "that makes Barrow look like a metropolis." "They loved him there," she said. One day five or six years ago he was talking with students in his apartment, slipped on ice in a cold room and broke bones in his nose that nearly caused him to bleed to death. The attending physician donated blood to keep him alive, she recalled, but he knew they would have to evacuate Walton from the closed Russian city back to Alaska to save his life. With the help of friends in Juneau working numerous telephones to reach Alaska's governor, the Federal Aviation Administration, the U.S. State Department and the Russian government, they got Walton to Anchorage in a day. "I really believe it was the work of God," Christianson said, adding that the rescue effort made international news. "He thought he was going to die," said Roberta Charles, a niece from Port Angeles, Wash.
Shales said the people in Russia willed him to live. Walton began working in the Russian Republic of Sakha after attending a healthy-lifestyle summit in Moscow with Shales and seeing the problems people there were facing from alcohol. Christianson said that later a woman from a group that herded reindeer said Walton came into their lives "and woke them up." She said Walton was 72 when he went to Yakutsk, in Sakha, alone and unable to speak the native language. Shales said his presence demanded respect when she was growing up. A nod of approval meant a lot. In Yakutsk, she said, his age and experience inspired instant respect because people didn't live to be as old there. When he saw the indigenous people of northern Asia, he felt like he belonged there, she added. But he also appreciated that diversity. The Baha'i Faith that inspired his dedication to helping people also teaches respect for, and preservation of, other cultures, she said. Shales said her father had the opportunity to see Tlingit artifacts in the Museum of Anthropology in St. Petersburg, Russia, half a world away from his ancestral home, which had once been the capital of Russian North America. At Tuesday's service, Cyril George, a former classmate of Walton at Sheldon Jackson School in Sitka, opened with words in Tlingit and recalled how Walton loved to tell stories in the language. "When he became your friend, you had a friend for life," said George, who now lives in Juneau. "I'm thankful and proud that he was my friend." Charlene Baker, a friend from the Yukon, had known Walton before she came to Juneau to learn weaving, through their common Baha'i faith. 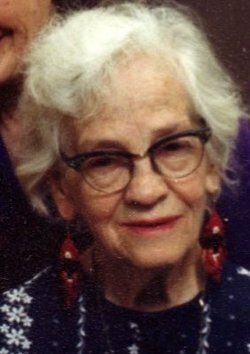 She said, though, that she was representing her family at the service, and, really, Walton was more family than friend. He stressed education, she said. He had a dream of establishing a tribal college and told her to continue her studies toward a public administration degree because she would be needed there. King, in her eulogy, noted words people said about Walton that kept coming up - perseverance, persistence, tenacity and dignity. He led a full life, she said, and he used his experience, "building a better world." Eugene King was born on September 25, 1918 in Haines, Alaska and died at the Mount Edgecumbe Hospital on September 20,1999 at the age of 80. His parents, Charles King, Sr. of Angoon, and Gladys James King of Sitka, his three brothers – Charles, Richard, and Roy, and two sisters – Ida and Pearl all preceded him to the next world. Mr. King was a Tlinget of the Eagle Tribe, Kaag-Wam-Taan Clan, Wolf House. After the passing of his mother, Eugene went to the Haines House Orphanage in 1917 through 1921, and then was raised by his aunt, Ruth Hayes of Juneau. He then went to Sheldon Jackson from 1929 to 1937. Eugene was twelve years old when he enrolled in the Sheldon Jackson High School, and stayed at that boarding school until his graduation. There he worked as the early morning fireman, took courses in vocational g in Machinery and Plumbing, and worked in the school’s hydroelectric plant with diesel oil burners. Eugene took part in the usual occasions such as the Easter Sunrise Service, and was in the Church Choir, often singing at the Sitka Pioneer Home. He was an avid student of the Holy Bible, often pondering the mysterious questions of the Bible. He always participated in Field Day events, the Sheldon Jackson Fellowship activities, the school band, and the midweek Prayer Services. He played Varsity Basketball as well as Track, and held the record High Jump at 5’10″ for many years. He also played Soccerball, Football and was in Amateur Boxing. He earned good grades with hopes of going on to college. Eugene graduated in May 1937. In 1938, Eugene began – working on the Sheldon Jackson Presbyterian missionary boat, the Princeton Hall where he took a beginner’s course in Navigation. They traveled constantly, held meetings in small communities, sometimes helping in repairs and maintenance of community churches, picking up students to attend Sheldon Jackson, delivered groceries to ministers in outlying communities, and ran mercy missions where they would pick up people needing hospital attention. Eugene began having problems with his eyes about 1938 or 1939 and he began losing his eyesight in 1942. In 1945, likely due to Tuberculosis in the eyes, he was diagnosed with only 2% vision. Eugene said losing his sight never really concerned him He always had the idea that it was for a reason, so it never really bothered him. Eugene worked for Northwest Sheetmetal Works at Kent, Washington during the War until work began winding down when he went to Seattle to find work and attended the Washington Training Center for the blind. He found work as a weaver, making baby blankets and neckties. There he met Melba Call of Kotzebue. Melba was blind from birth. She had just returned from New Mexico, teaching newly-blinded adults. They were married in September 1944. She taught him how to use a cane, how to maneuver around Seattle by bus, and some Braille., which she knew very well. At that time, Melba taught him the Bahá’í Faith. In 1952, they moved to Tacoma where they attended many Bahá’í social activities and public meetings. Eugene began to think of those unanswered questions he had stored up from the Bible and began studying the Bahá’í Faith. Eventually, he could not disprove what he learned while attending Sheldon Jackson. He told his wife, Melba, “You know, I think I believe in this, I think I would like to be a Bahá’í.” That was on November 30, 1954. A few days before that, Eugene had a dream. He said he “got up one night and went into the living room and moved to his right. The whole living room was aglow, then the walls, the ceiling and floor were all covered with leaves of gold, with a bright light toward the left where he saw a robed man with a black beard and. a long robe standing with a kindly look,” and He looked at Eugene as if he could see right through him. The next night he was to meet with the Spiritual Assembly of Tacoma, and he was seated at the same place he stood the night before. The Spiritual Assembly asked him some questions about the history of the Bahá’í Faith. Eugene said he didn’t know much, but he believed in Bahá’u’lláh. There he signed a Declaration card. He said this was his physical act of a spiritual transformation. Eugene gave his first talk on the Bahá’í Faith about Life after Death six months later. He was elected Vice-Chairman of the Spiritual Assembly of Tacoma that same year and the following year he was elected Chairman, serving in that post for several years. Eventually, they returned to Seattle where he also served as Chairman for many years. Eugene and Melba moved to Douglas, Alaska to teach the tenets of the Bahá’í Faith to the Native people under the guidance of the National Spiritual Assembly of Alaska. He traveled to Hoonah during the late 1950′s to early 1960. He also went to Angoon, Fort Yukon, Fairbanks, Anchorage, Nenana, Southeast, Cordova, and Valdez. He was elected to the Spiritual Assembly of Douglas and that year was elected a delegate to the Bahá’í National Convention, then in 1970 he was elected to the National Spiritual Assembly. He served on that body in 1970-71. Eugene and Melba moved back to Seattle for health reasons in April 1972. Eugene returned to Juneau, Alaska in November 1979 after Melba passed away and was once again elected to the National Spiritual Assembly from 1980 to 1991, when poor health forced his resignation. Mary Brown was also a member of the National Spiritual Assembly of Alaska. 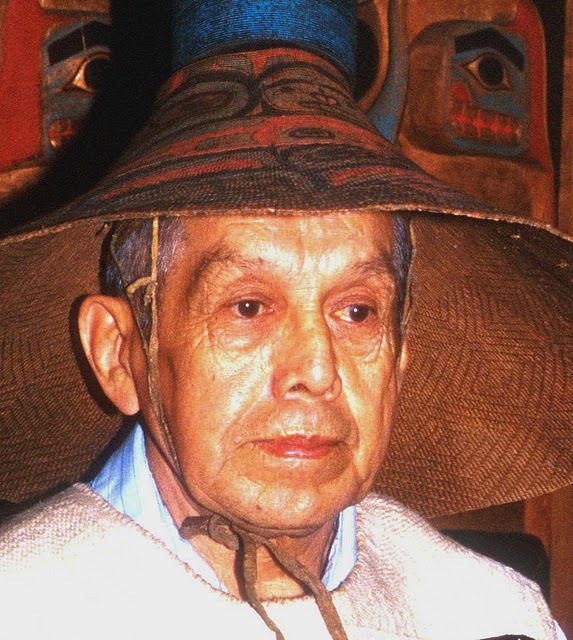 Steve Perrin Tlingit carver Eagle Moiety of the Kaagwaantann and a child of Lukaax adi (the Raven) was born March 20, 1922 in Juneau, Alaska. He died June 6, 1987 in Haines, Alaska. He was a fisherman, alcoholism counselor and master carver. He ran a halfway house in Hoonah, Alaska. He was also a member of the Haines Camp of the Alaska Native Brotherhood. He served in the US Army during World War II with a total of six years service including time in Germany. Gail Davis Fiske Tlingit name Koteen was a Chookan Shaa of the Eagle Clan. 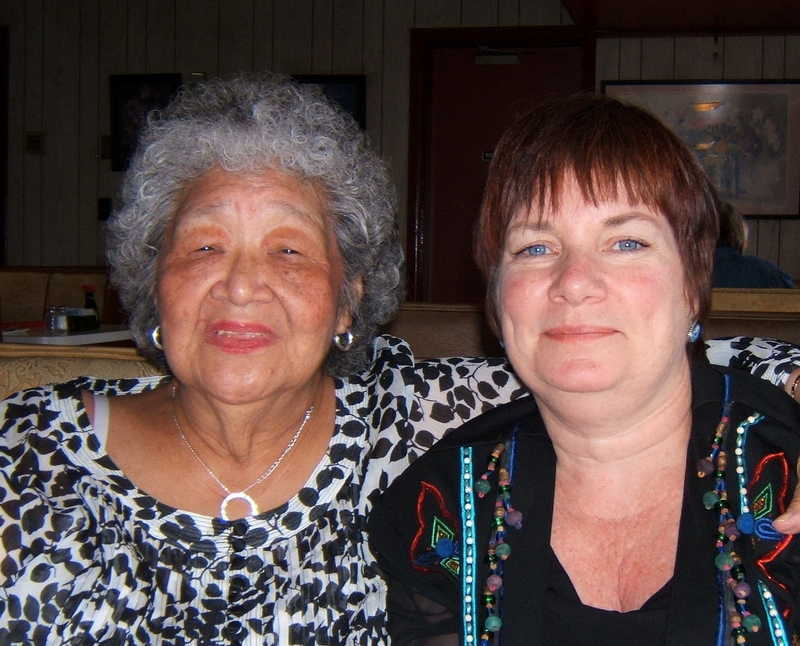 She was a lifetime member of the Alaska Native Sisterhood. She also was a member of several organizations, including the Sitka Toastmasters Club, the Sitka Womans's Club, the Soroptimists, the Sitka Historical Society, Friends of Sheldon Jackson Museum and the Baranof Theatre Guild. She also was a Knight of Baha'u'llah for the Baha'i Faith. In 1982 she was able to make a pilgrimage to the International Center of the Baha'i Faith in Haifeh and Akkad, Isreal. She was born Sept. 29, 1903, in Helena, Montana, the daughter of Eugene and Kate Fiske. She attended college in Bozeman, Montana, where she met and married Earl Avery. She later received training as an x-ray technician while working at a clinic in Billings. After she became a grandmother, she entered nursing school, seeing it as a way for her to work abroad and serve her newly found Baha'i Faith. Baha'is were then being asked to move to areas where no other members of the faith lived. Baranof Island was listed as such a place, and in 1954 she moved to Sitka. She worked at the Mt. Edgecumbe hospital, and then helped set up the laboratory at the then-new Sitka Community Hospital. Her next step was employment at the Pioneers Home, Where she worked until her retirement in 1970. 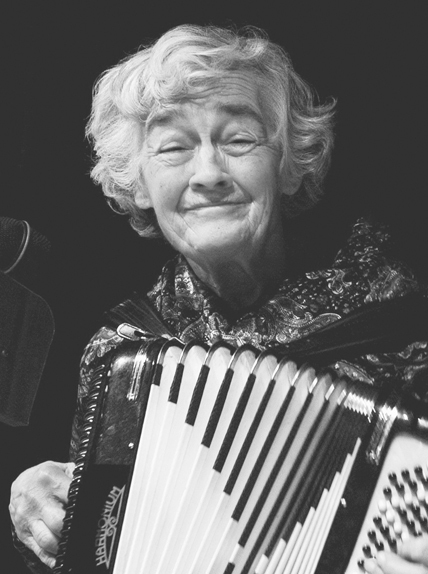 For many years she wrote kryptograms and a column, "It Is Remembered," for the Daily Sitka Sentinel. She published two books of poetry, "A Touch of Madness," and "More Than a Touch of Madness." She loved the outdoors, and especially enjoyed her years at her home on Dove Island, Which she homesteded shortly after moving to Sitka. Mrs. Davis will be remembered for her warm wit, her gift of rhyming and for her love of life itself. She was always a teacher, learning new things and then passing on that knowledge to others, a family member said. Alice was born July 4, 1926, in Great Falls, Montana, the daughter of Earl and Gail (Fiske) Avery. She died on September 26, 2009 at the Sitka Pioneers Home in Sitka, Alaska. Hazel Lovelace Tlingit Nation Baha'i declared as a Baha'i in 1962. Born on April 4, 1935 in Carcross, Yukon, Canada and died on April 7, 2011. Her parents were Johnnie and Lucy Johns. Hazel became a member of the Baha'i Faith in 1962 and her destiny was set in motion with that decision. As a travel teacher of the Baha'i faith, Hazel traveled to more than 50 villages in Alaska, numerous Native American reservations in Canada and the United States, and 30 countries around the world. She was especially proud of being "adopted" by the Maori people of New Zealand. Hazel loved to play bingo when she was home from her travels and formed many friendships over the years with fellow players. In spite of the crippling and painful effects of Parkinson's disease, she never lost her faith in God's plan; her spirit was steadfast and her heart radiant in surrender to what was. Hazel made an indelible impression on those around her and she will be mourned by her family, the Baha'i community and numerous friends throughout the world. Jessie Johns Tlingit Baha'i was born October 15, 1900 in Klukwan Territory of Alaska and died on September 4, 1992 in Juneau. She was married to John Ward. She was a member of the Alaska Native Sisterhood. Jo Ann Mann Tlingit Nation Baha'i born June 25, 1957 in Juneau, Alaska and died on November 1, 2010 in Seattle, Washington. Jo-Ann was Eagle-Thunderbird, Shangukeidi from the House Lowered from the Sun, of Klukwaan, Alaska. Her Tlingit name is Kaaxaati. In 1976 she moved to Seattle, where she made her home in the city. She also attended the Ann Carson Crippled Children’s school in Jamestown, North Dakota, from 1970 to 1972, where she learned how to handle and adjust to her condition of cerebral palsy. Her family were the very most important people to her, alongside her partner Lane Culver, whom she loved and lived with for more than 25 years. Absolutely nothing held her down or kept her from doing what she set out to do or going where she wanted to go, she was unstoppable, and her electric wheel chair became an extension and form of expression of her mobility, determination and independent personal strength. If a family member was ever in “need” she was there, and would give and share all that she could. She was filled with life and vigor, love and laughter, wisdom and emotions without shame or embarrassment. She understood and embraced all of what is important in one’s life, and especially the very special love, support, strength and compassion of her family. JoAnn was graced with beauty, love, strength, compassion, exceptional intelligence and independence. She passed away while sleeping, of natural cause. Lisa Marie Siverly Tlingit Nation Baha'i - T'Akdeintaan clan, Yeil Kudee Hit (Raven Nest House), Huna Kwaan. Lisa Marie Siverly was born on October 12, 1962 and succumbed to cancer on June 2, 2011. Lisa was a graduate of Juneau-Douglas High School and attended the Tacoma Community College in Tacoma, Washington studying Business Administration. Lisa worked in many fields in the business world--she worked for the State of Alaska in Juneau and travelled to Las Vegas and Santa Fe, New Mexico. Lisa loved being a vital part of the working world and was proud when she could make a valuable contribution and loved to be of assistance to her fellow workers. She worked as an analyst programmer and later as a research analyst for the State of Alaska. Lisa enjoyed many hobbies. Creating new works of beadwork that were innovative was a passion. Lisa also loved to travel and also collected native artwork and was a huge fan of people that created work that has not been seen before. When Lisa discovered the writings and work of Richard and Nora Dauenhauer, she poured over them and enjoyed the wonderful cultural discoveries. Lisa was a member of the T'akdeintaan clan and child of the Gunaanaa. Lisa was a grandchild of the Kaagwaantaan, L'uk nax.adi, Kiksadi, L'ukaax.adi, Wooshkeitaan, and Chookaneidi. Lisa came from the Raven's Nest House the Yeil' Kuda Hít. Lisa is fondly known with the Tlingit name Shaa wat.Kg¬e ge being named after Mary Starr. Lisa was a member of the Baha'i Faith and would often quote the writings in her messages of love to her family and friends. She loved the faith so much she encouraged the local community to continue children's classes for her nieces and nephews. He was born Dec. 11, 1929, in Yakutat. Family members said he was a respected Tlingit elder, storyteller and songwriter and member of the Baha'i Faith community. He was Raven from Ginex Kwan and from the Owl House, the ancestral House, and Raven Bone House, also known as Kwaaski'kwaan in Yakutat, from their acquired crest from a creek they bought when they migrated from Chitna to Icy Bay, and then to Yakutat. He was the youngest child and well versed on the history of both his father's Teikweidi clan and his mother's Gineix kwan clan. He knew the Tlingit chants and songs and composed Tlingit songs. He died April 11, 2007, surrounded by family and friends. He was 77. Robert James “Jim” Schoppert, Tlingit Baha’i from Alaska declared as a Baha’i in 1973 in Anchorage, Alaska. He served on the National Spiritual Assembly of the Baha’is of Alaska in 1976. He also served on the Local Spiritual Assemblies of Anchorage, Nome and Spenard. JIm was born on May 28, 1947 in Juneau, Alaska and died on September 2, 1992. Two months before becoming a Baha’i he completed his first work of art. Within 4 years he became an internationally known artist. He employed a variety of media including stone, wood, metal, plastic and ivory. He’s is quoted as stating there is a direct relationship between the development of his artistic ability and his enrollment in the Faith. He believes that his talent has been developed as a vehicle through which to teach the Faith. 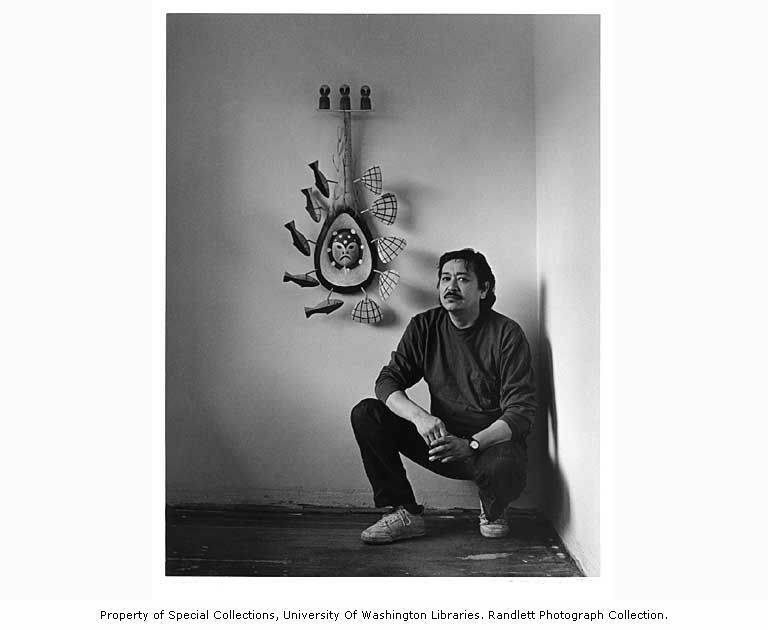 Jim’s art reflected his belief that it was important for Native-American artists to recognize and respect their traditions and equally important to stretch beyond those traditions. His work frequently challenged cultural stereotypes. His work can be viewed at the Smithsonian National Museum of the American Indian.